The global terrorism threat has become decentralised, unpredictable, hard-to-detect and resilient with regenerative capacities. The global jihadist movements, principally the so-called Islamic State (IS) and Al-Qaeda, have glocalised to exploit indigenous grievances, recruit aspiring jihadists and fight for local and global causes. Overall, both IS and Al-Qaeda have become underground terror networks which will allow them to sustain themselves for longer and perpetrate more violent attacks. 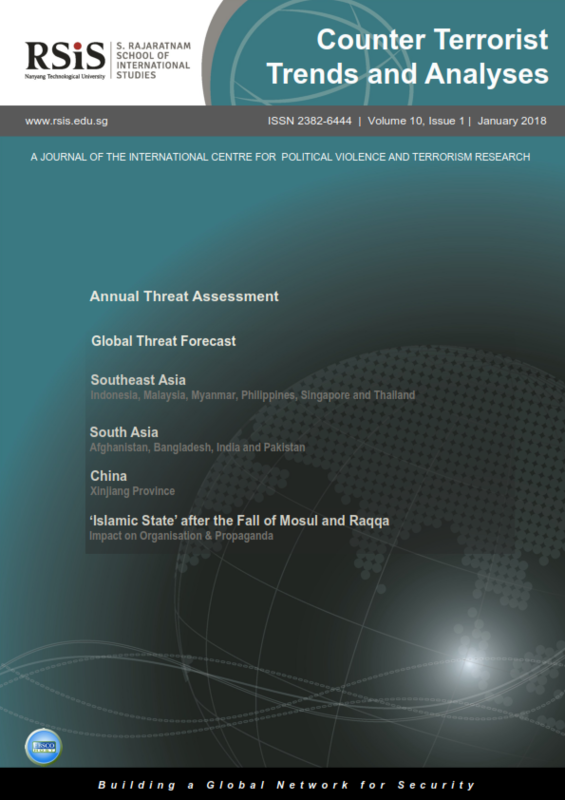 With a radical Islamist jihadist ideology, multiple wilayat (provinces), sleeper cells, lone-wolves, online radicalisation and skilful exploitation of modern technologies, the terrorism threat remains challenging despite the successful expulsion of IS from its heartlands in Iraq and Syria in 2017. Moving forward, in 2018, the terrorist threat will be characterised by attacks mounted by politico-religious, ethnic-political and left/right wing groups. The major risk to the West, the Middle East, Africa and Asia will come from Islamist extremist groups with radicalised segments of migrant and diaspora communities perpetrating attacks in North America, Europe and Australia. Notwithstanding the operational and military setbacks IS and Al-Qaeda have suffered over the years, their affiliates in the global south will continue to mount attacks against military, diplomatic, political and economic targets. Despite security measures, threat groups will seek to hit aviation, maritime and land transportation targets. In addition, self-radicalised and directed attacks will focus on populated locations for large-scale impact, with suicide attacks as the preferred tactic. The favoured modus operandi of IS-inspired and directed jihadists in the West will be low-end terrorism relying on vehicle-ramming and stabbing as witnessed throughout 2017. Broadly, the world has witnessed the rise of three generations of global terrorist movements. ‘Global Jihad 1.0’ emerged after Al-Qaeda attacked the US in September 2001 and captured the imagination of multiple militant groups in Asia, Africa, Middle East and the Caucasus. The second generation, ‘Global Jihad 2.0’, emerged after al-Baghdadi declared a ‘caliphate’ and announced the formation of the ‘Islamic State’ (IS) on 29 June 2014. The third generation, ‘Global Jihad 3.0’, represents the global expansion of IS outside Iraq and Syria. IS now relies on its wilayat as its operational bases in the Middle East, Africa, Caucasus and Asia. IS and its affiliates control territorial space in varying degrees in countries with active conflict zones, and maintain a presence in cyber space. The group’s strength also lies in affiliated and linked groups, networks, cells and dedicated jihadists who are willing to fight and die for IS.